Bring an on trend look to your bedroom with this contemporary drawer chest. 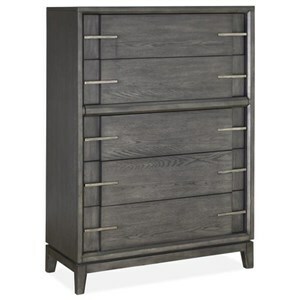 You'll love its textured, faux shagreen finish, as well as its gold finished metal base and drawer pulls. Plus, with its felt-lined top drawer and cedar-lined bottom drawer, its storage space is sure to cater to your exact needs. 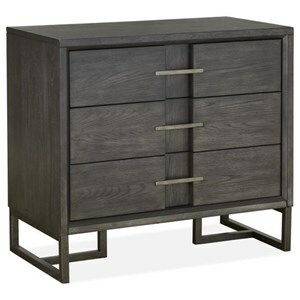 The Carmen Contemporary Drawer Chest with Metal Accents by Pulaski Furniture at Reeds Furniture in the Los Angeles, Thousand Oaks, Simi Valley, Agoura Hills, Woodland Hills, California area. Product availability may vary. Contact us for the most current availability on this product.